Ciao lovelies! 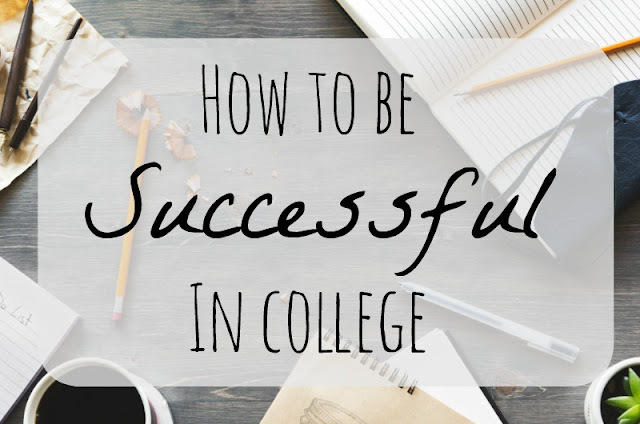 Today’s DIY post is a DIY success strategy on how to become and stay successful while in college. College is very hard for many people. Taking care of yourself while simultaneously having to care for your GPA is a task and a half (okay, maybe more like a million tasks and a half.) But success in college is far from a myth. I know girls in my own university taking 20 hours a semester and making A’s! But how do they do it? Well, you need what’s called a “success plan” to be successful. Successful people plan their lives, days, etc. Knowing what you need to do is the first step to getting it done. A success plan is basically an outline of smaller tasks that you need to complete to finish a big task. For a college example, look at it this way. Your big task will most likely be “pass this class.” So your smaller tasks will be “Do all homework,” “do the essays,” “go to every class meeting.” And your smaller tasks for “Do all homework” would be each homework assignment. Breaking your tasks into little chunks like this will help you stay focused and not get overwhelmed. You will be starting projects weeks in advance rather than hours, and you will be taking on challenges by looking at them as smaller pieces. In this way, being successful in college is quite easy, don’t you think? Sure you still have to DO the tasks, but knowing the challenges ahead is the first step to overcoming them. -Know your limits. Don’t overload yourself with classes. If you can take 16 hours a semester, great. If you can’t, no pressure. Just make sure you take the amount that lets you graduate on time. -ATTEND ALL CLASSES. DON’T SKIP CLASS. Never skip class! Unless you’re puking or something, don’t ever skip class! You need to go to class because in class you can ask questions, have other students input, have the professors opinions, all of which is highly valuable to actually understanding the info provided in the class. -Have a schedule. Having a schedule can take stress off you, and can help you get stuff done in a timely manner. -Treat school like your job. Work on homework immediately after class. Get it done. Study. Don’t get distracted. Happy back to school! I hope this “diy” of sorts helps you in your college life! Thanks for reading and I’ll see you again on Wednesday! Stay awesome and remember to love yourself! This will definitely help me. Thanks guys!